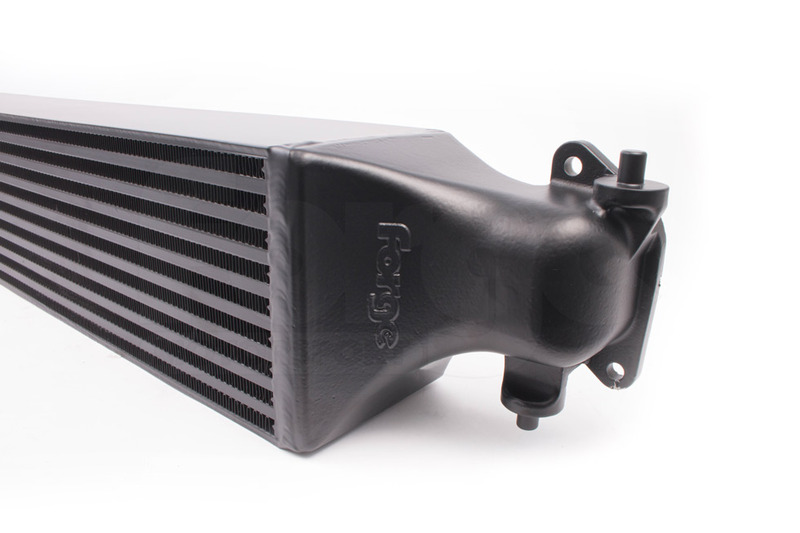 We are pleased to release the Forge Motorsport intercooler for the Honda Civic Type R FK8. 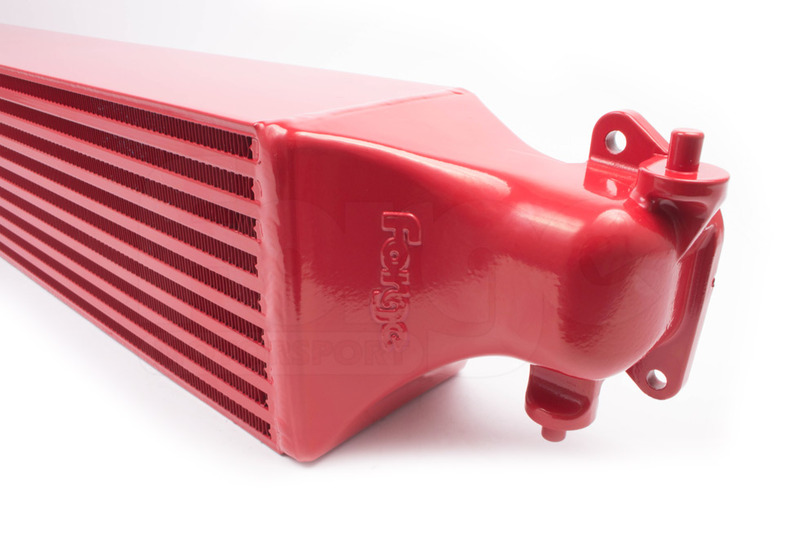 Utilising our industry leading bar and plate design, alongside Solidworks CAD and flow simulation design (Computational Fluid Dynamics CFD) to develop our high flow cast end tanks. 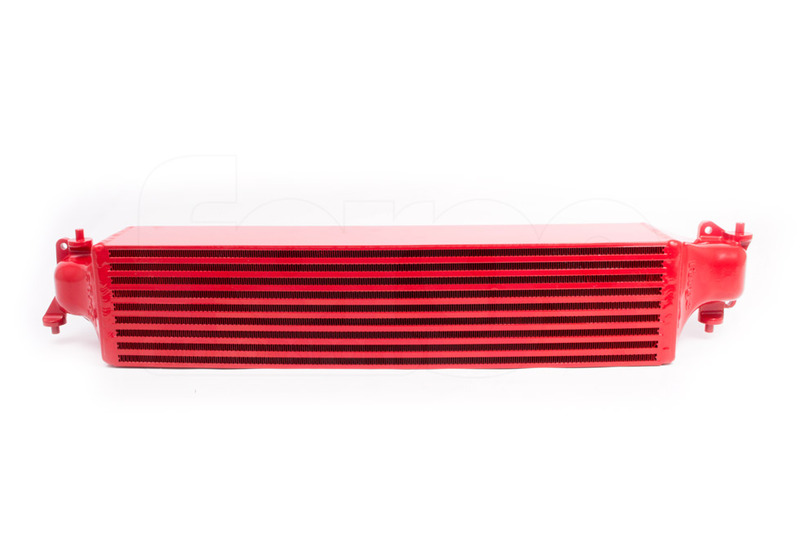 The turbo side endtanks features an internal divider to ensure the full volume of the core is utilised. 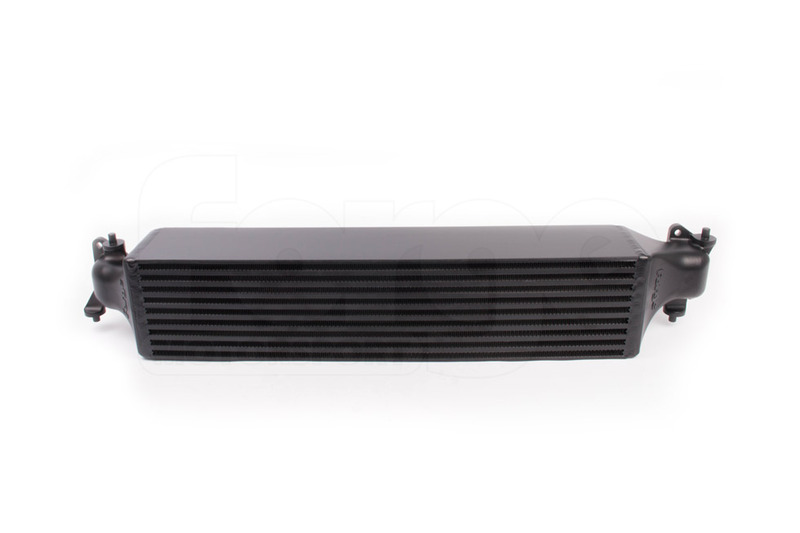 The bar and plate core has over 89% more volume and larger frontal area. 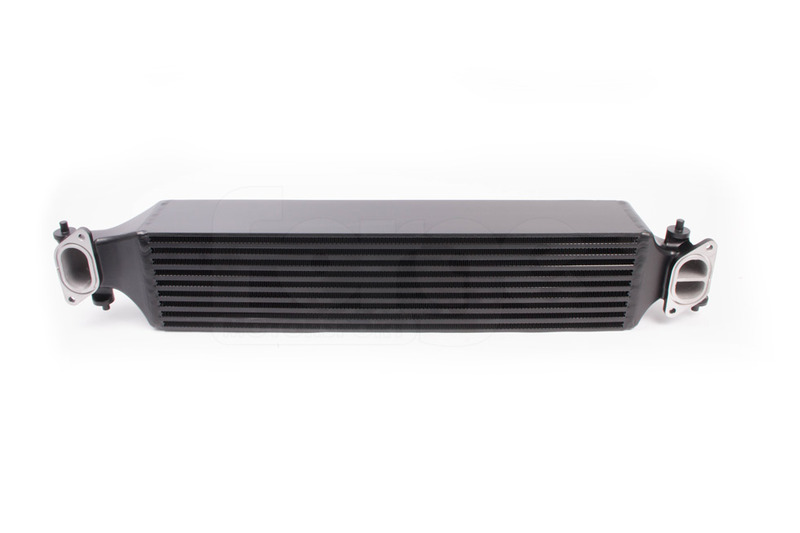 To ensure the optimum airflow from the front of the vehicle onto the surface of the core this intercooler utilizes the OEM plastic ducting. 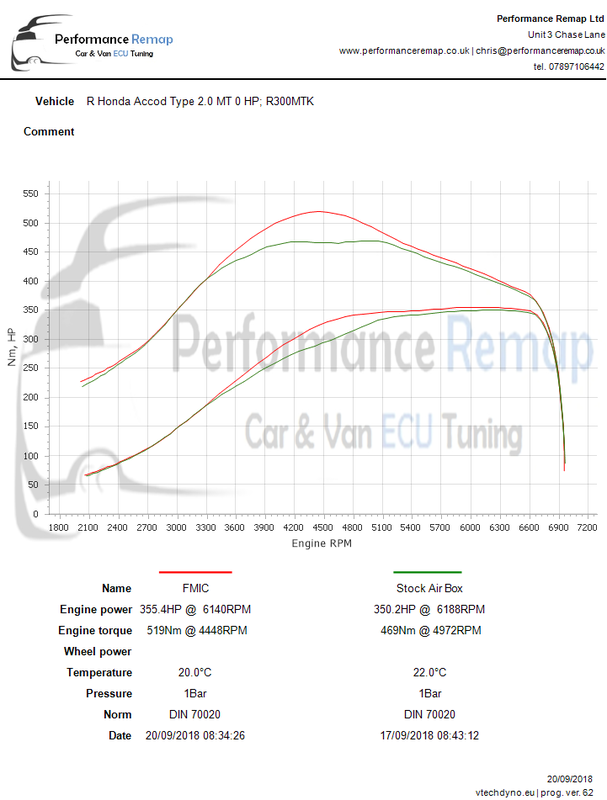 When fitted to a remapped vehicle just the intercooler alone gave an increase in mid-range power of approximately 30Hp and 50Nm of torque at 4500rpm and a peak increase in power of +5.2Hp @ 6100rpm. 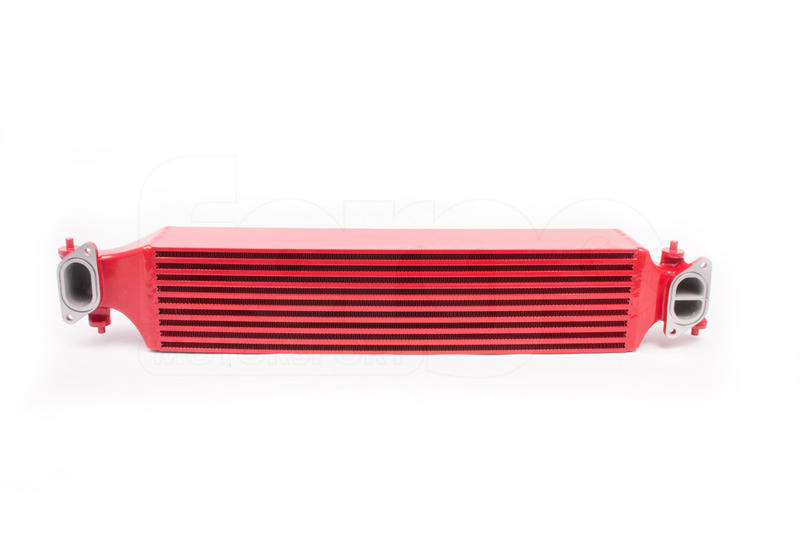 The intercooler is available in red or black with a tough durable and corrosion resistant powder coating to ensure the maximum heat dissipation and product longevity even in the worst environments. Thin wall cast endtanks for superior flow. 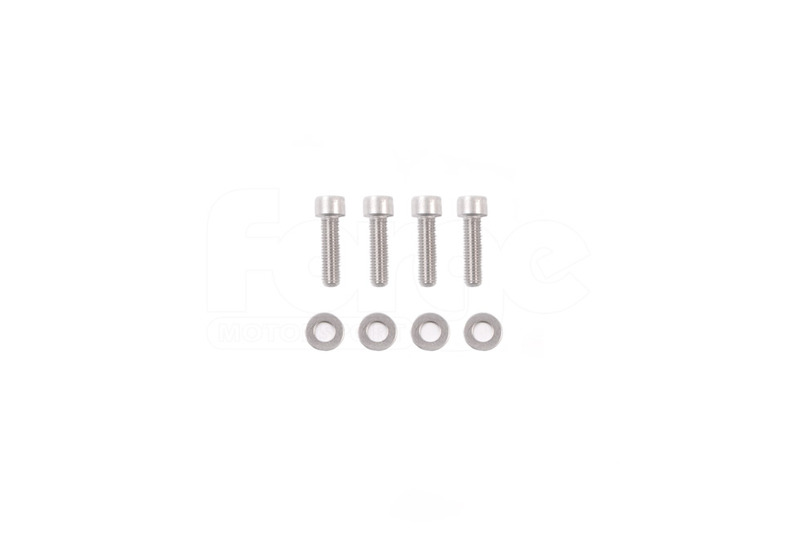 Features machined recesses in the intercooler mating flanges to accept the OEM sealing O-rings. 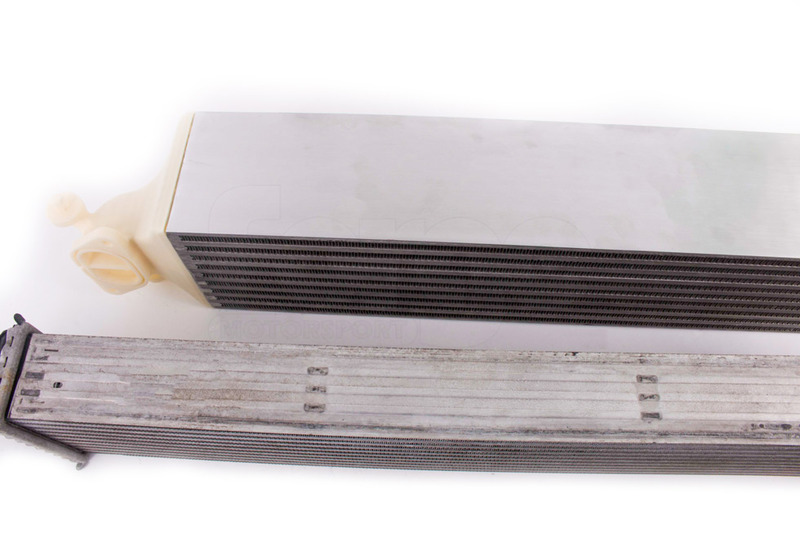 Supplied with all the fixings required to fit the intercooler.